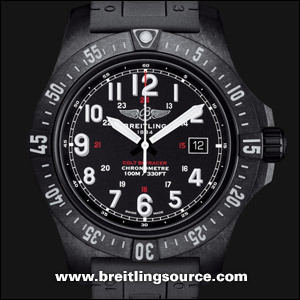 Breitling released a bang-for-buck watch made of Breitlight® which is essentially a exclusive polymer (plastic) blend that looks to contain some carbon, fiberlgass or graphite in it to strengthen it. It also happens to give it a look similar to Forged Carbon, which is very cool. Its funny though because at $2000 it is considered a budget luxury watch, but I remember not long ago we could get a Colt Automatic in Steel for around that price! How things have changed. Breitlight® is described as a state-of-the-art material, as most high-tech polymers are, but it really is just a cool-looking, very rigid plastic. 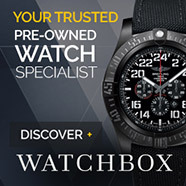 It is probably not too different from Luminox’s Carbon reinforced polymer cases, though it does look a bit different. I would like to see Breitling add a Professional III bracelet made from Breitlight® to the watch. This would make it much cooler in my opinion.